The BC Chinese Music Association (BCCMA) is proud to celebrate the 30th annual Chinese-Canadian Miracle Weekend in this May. 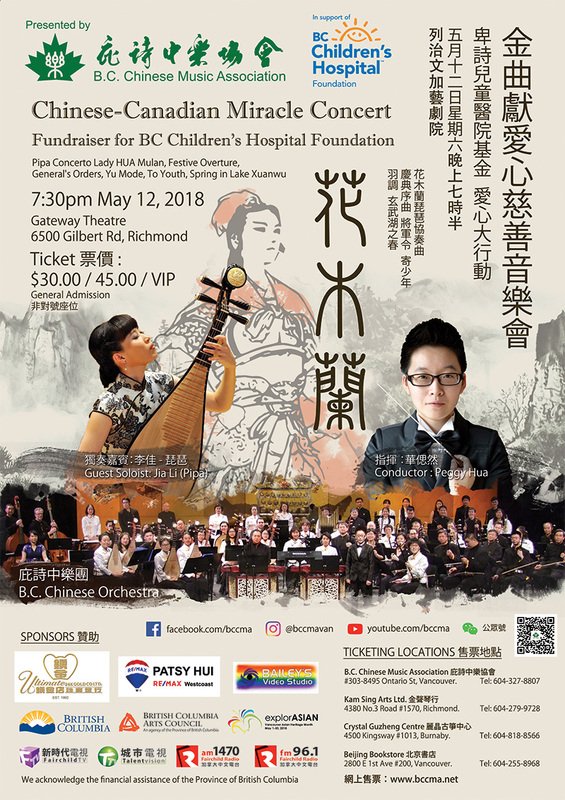 It will present three big concerts in special honor of fundraising for BC Children’s Hospital Foundation: Chinese-Canadian Miracle Concert, Dr. Jia Li Pipa Recital, Chinese-Canadian Miracle Concert Surrey. All these events are must-see spectacles. 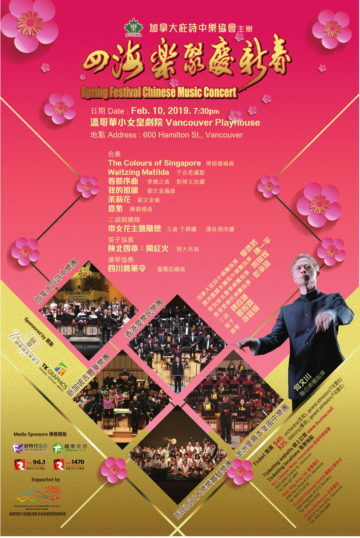 As one of the largest Chinese orchestras in North America, BC Chinese Orchestra (BCCO) will be hosting “Chinese Canadian Miracle Concert” at Richmond Gateway Theatre on May 12th Saturday. Under the direction of conductor Peggy Hua, more than 60 members will perform a wide variety of Chinese traditional instruments (erhu, dizi, pipa, zheng, yangqin, etc.) in this concert. A list of popular classical pieces will sound familiar to many in the audience: Concerto Hua Mulan, Celebration Overture, Song of the General, Yu Mode, and many others. The concert particularly features a visiting guest musician Dr. Jia Li, the first Pipa doctorate from China Conservatory of Music. She will play the thrilling pipa concerto Hua Mulan, a timeless masterpiece composed by one the most esteemed Chinese composers, Gu Guanren.